Hi everyone. 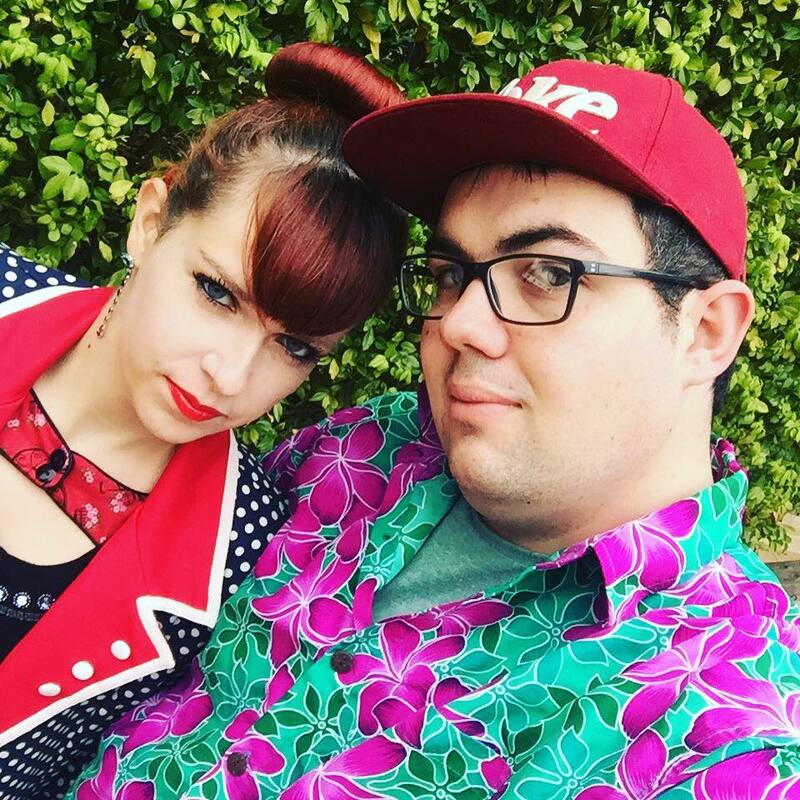 Today I’m back to another fashion post after the last couple have been sports related. 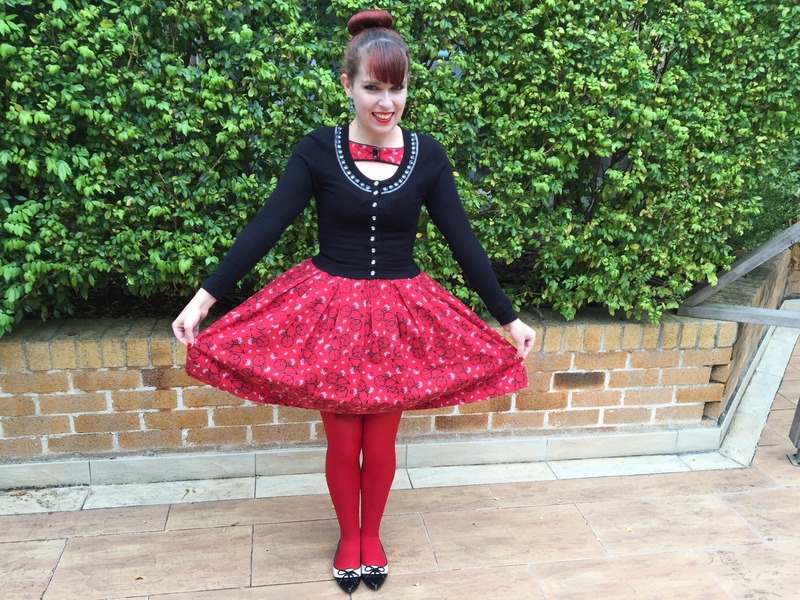 I’ve worn this outfit a couple of times recently- for Mother’s Day on the weekend and to work last week. It’s one of my most commented outfits, probably because it’s so bright. At the end of last winter/early spring, I got into coloured tights. I didn’t like them much before because there wasn’t much of a colour range available and they are hard to find over here. However, I came across an amazing range in H & M which were excellent in terms of both quality and price. I quickly purchased red, magenta, cobalt, mustard, green and white. I wore them a few times last year (such as here and here) but unfortunately discovered coloured tights a little late as the warm weather quickly arrived. Now it’s getting cold enough to start wearing them again and I know I’ll love that. This is my first time wearing coloured tights this year. 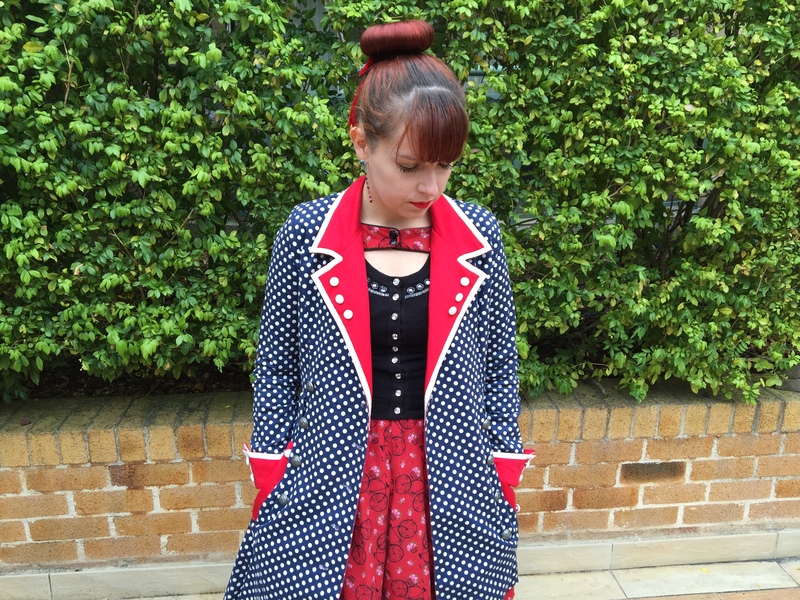 As for my coat, I cannot believe I’ve never displayed it on my blog before. I recall taking pictures wearing it once but I don’t think they ever made it onto the blog. 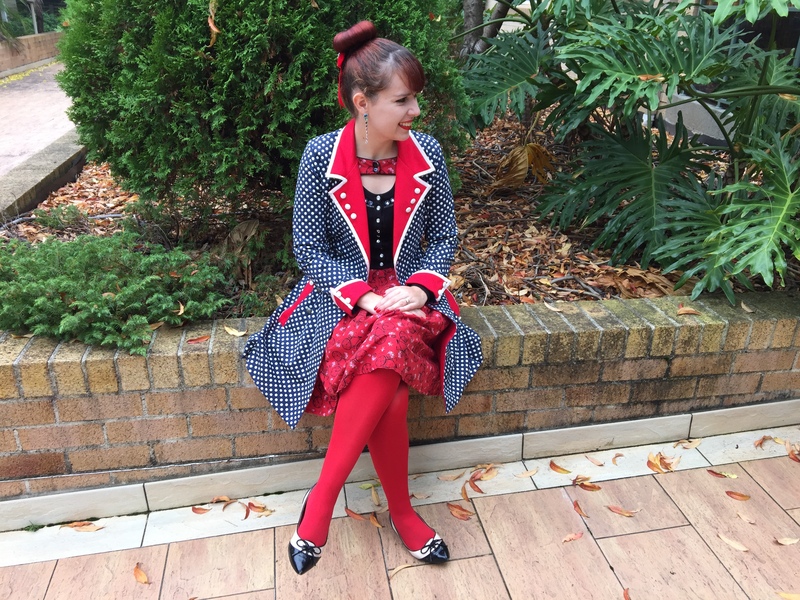 I’ve had this coat for a year and half now and it’s one of two pieces I purchased when Kitten D’Amour opened its first store in Sydney. It’s a very much sought after KDA piece as it sold out quickly. I love how it’s bold and makes such a statement. Nautical has always been a favourite trend too. While the coat certainly stands out on its own, I do love pattern mixing so I paired it with my bicycle printed dress (first shown here). 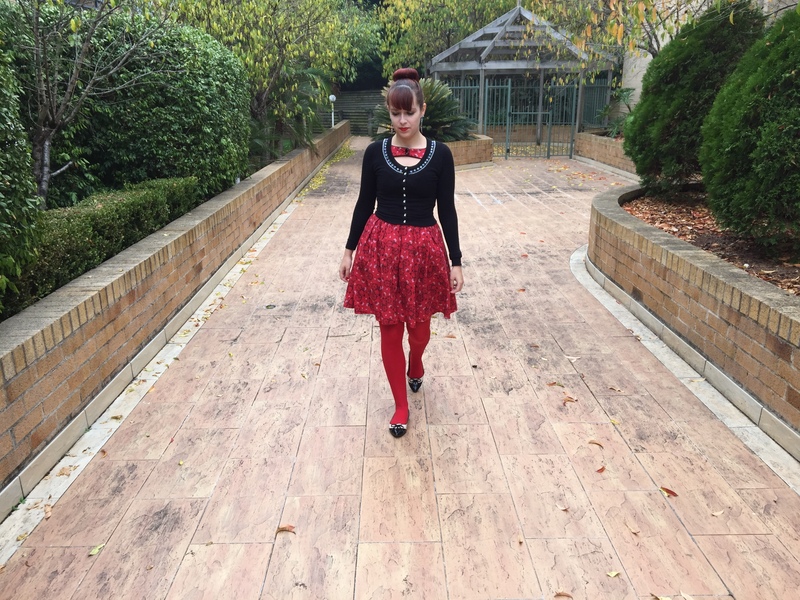 This entry was posted in Alannah Hill, BAIT Footwear, H&M, Kitten D'Amour, Outfits. Bookmark the permalink. The boldness and prints look great on you! This coat is fantastic, really amazing! 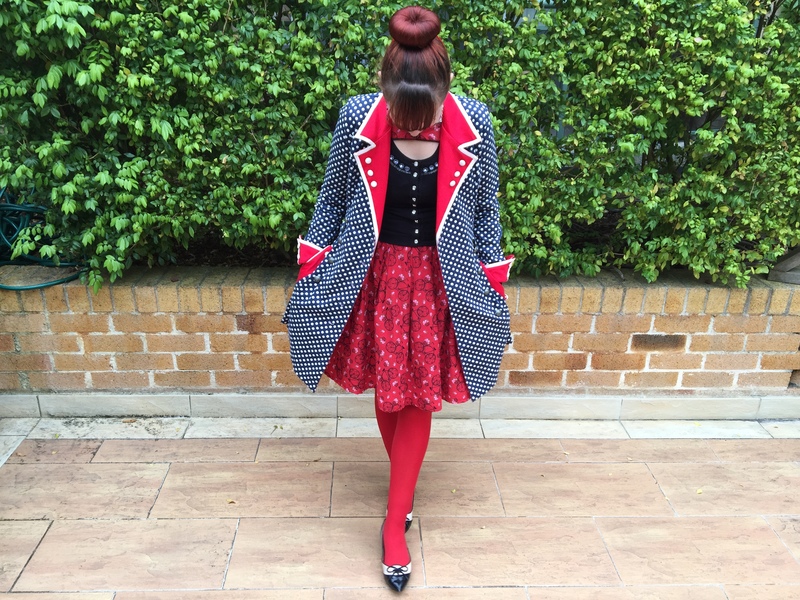 Love love love that coat:) And you really pull off those coloured tights nicely, Imogen! It's true, dear Imogen, how come you didn't show us this amazing coat before!? I love it! The color palette, the style, all so beautiful! I loved the skirt as well and the coloured tights, and good that you could wear them, first time or not, this year! 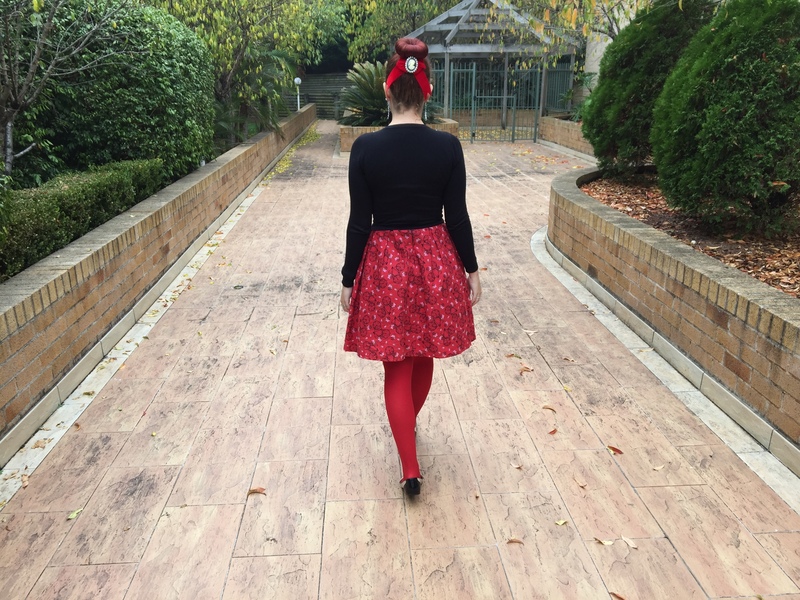 I hope you can wear them more, cause I love red and tights! 🙂 You look lovely, as usual! Hope you have a sweet weekend! 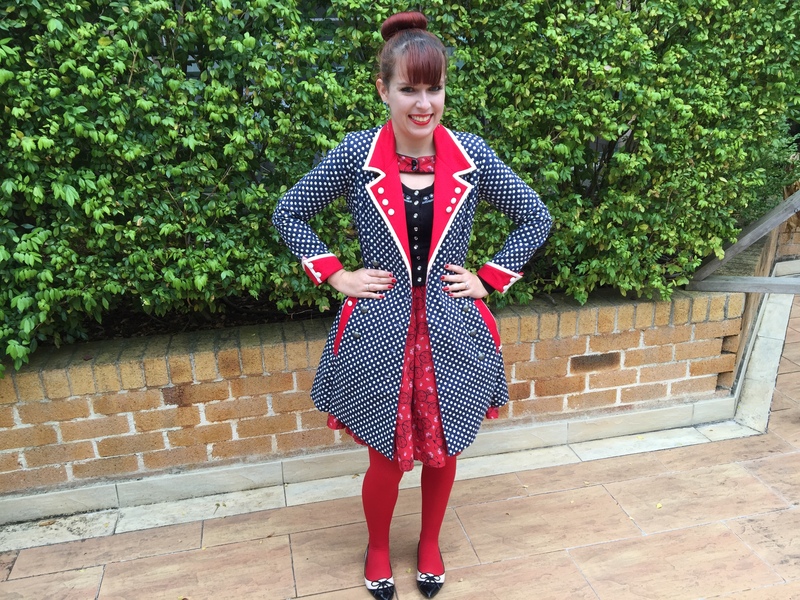 So fun and whimsical … very red queen! Adore! 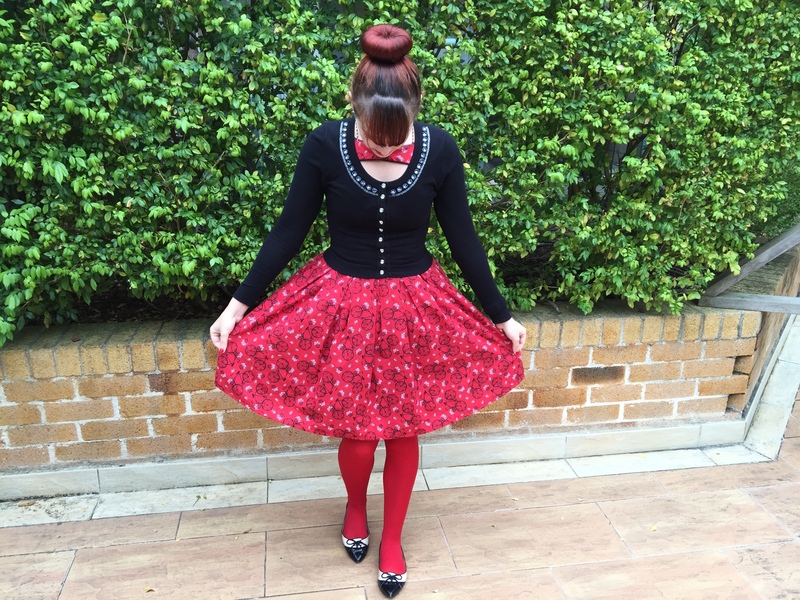 Thanks for linking up with Fun Fashion Friday & hope to see you back this week! That dress is the cutest! Love the bicycle print! Great outfit! So great colors! I love your happy style! What an incredibly coordinated outfit! I just love that gorgeous printed coat and it looks amazing over that dress! I too am a huge fan of colored and printed tights so I adore these! Red is so great on you! I love wearing colored tights! It's such a fun way to spruce things up when the weather gets cold and dreary. Love this outfit! 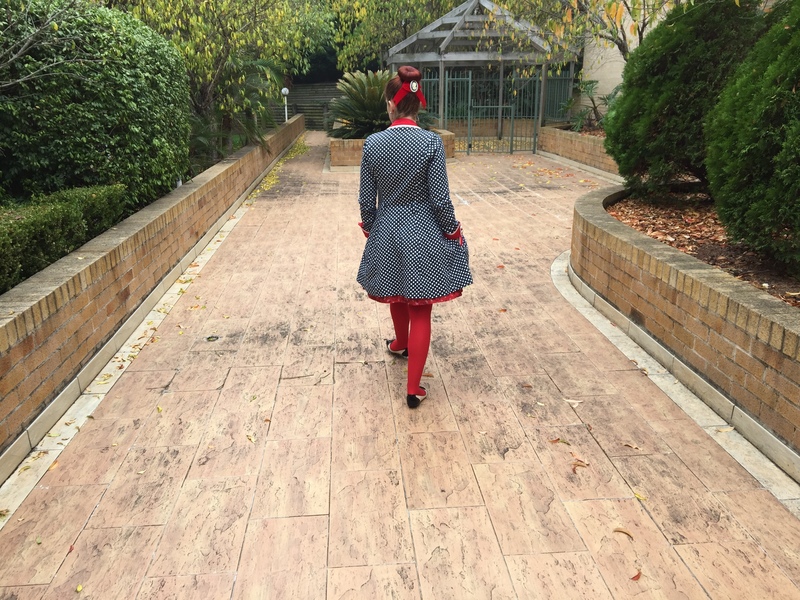 I love your red tights…I also love coloured tights, so great you found a good brand there. This dress is fantastic and the outfit as a whole is gorgeous…you always wear the most amazing and feminine combos.